Talk.Global has been appointed to handle eBay's lifestyle, fashion and beauty press office, PRWeek can reveal. The agency joins recent recruit Iris and others on eBay's agency roster. 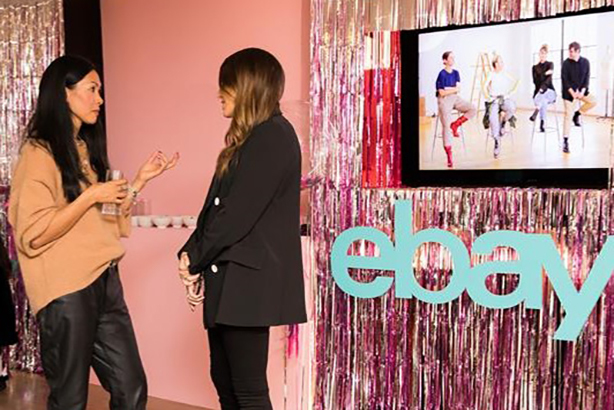 The agency has been tasked with communicating eBay’s strength as an online marketplace and shopping destination. This includes 360 campaigns, events, influencer and media partnerships and managing a "proactive press office". They will also support eBay in "bringing to life the opportunities the online marketplace provides for consumers and businesses to make money on its platform". eBay uses a roster of agencies that specialise in different parts of the business. Recently, Iris was awarded the retained press office work for eBay across its home and garden, technology and media and entertainment categories, which includes ad-hoc campaigns to support key sales moments, targeting UK families as its primary audience. Other agencies on the roster include Launch and Teneo Blue Rubicon. The agency has hired Samantha Wetherald as associate director to work on the eBay account. She joins from Ketchum, where she was senior account director on brands including Booking.com and Philips, and brings consumer experience in retail, health, family and parenting, and travel. "This win really showcases Talk.Global’s ability to produce stellar integrated campaigns across multiple lifestyle sectors," said Talk.Global’s board director Suzy Socker. "Retail is an interesting and very competitive landscape, which is having to work harder than ever to connect to the consumer. Our experience across the lifestyle sectors means we understand how men and women buy, be it for the home, wardrobe or beauty cabinet."